Starting your own medical coding and billing business can be a great professional opportunity for you. But after you've created your business plan, determined your specialty, and marketed your company, how do you negotiate your medical billing contract with potential customers? The contract between you and your provider, for whom you will be billing, is the document or agreement that states your level of reimbursement. This medical billing contract will ultimately be the basis for all of the money that you receive from the provider for the work that you do. It's crucial to negotiate it carefully! If you're looking for a more in-depth guide to pricing, we can recommend the ebook Pricing Your Medical Billing Service, written by 2 very experienced medical billers. We found the information surprisingly fresh and useful. There are two main ways of getting paid by billing for another provider. They are based on percentage pricing or flat fee rates. Percentage pricing means that the provider will pay you a percentage of what you collect from them throughout the month or specified time period. Flat fee rates mean that the provider will pay you a certain amount every specified time period, no matter what your collections or their charges were. For more information on how to decide on a proper rate, see our article on Medical Billing Rates. The type of rate you charge a provider is extremely important. It determines how much work you have to do and for how much money. The way you will be getting paid is the most important part of negotiating a medical billing or coding contract! One of your negotiating points will be your own qualifications. If you're more qualified in a particular field, not only will you be able to create a better market for yourself, but you'll also be able to negotiate a better rate for your services. Example: if you're a pediatric medical billing company, consider getting your general certification, as well as your specialty certification in pediatrics, in addition to another certification in medical billing or compliance. The more qualified you are in any particular field, the more easily you will be able to sell your ability at doing a great job in billing in that field. More information on medical billing and coding certifications. If you're having trouble negotiating your medical billing contract, consider offering a trial period. If your provider is new to outsourcing their billing and coding, it's likely that they'll be uneasy about the whole process. Offering a trial period, with lower rates, may be a way to ease them into the new system without having to take on such a great risk. (See the guide to outsourcing medical coding to understand their perspective more). After the trial period is over you can start to bill a regular rate. If the provider decides that outsourcing is not for them, then they have taken on less of a financial risk than they would have if you hadn't offered the trial period. It's a win-win situation! An important part of negotiating your contract will be determining what responsibilities you will take on. Will you complete all of the coding or will you only send claims and complete the billing process? Will you enter claim payment, patient payments, or both? Will you work the insurance accounts receivable? How far back will you go? Will you work the patient accounts receivable? Will you send patients to collections? Deciding the answers to these questions early on in the negotiation process will help you and your provider determine what rate is best for you both. For more information on medical billing outsourcing responsibilities, see our article on Medical Billing Outsourcing. One of the best selling angles for medical billing contracts is to know your marketplace like the back of your hand. Know what types of rates your competitors charge, and know which medical practices are using which companies. 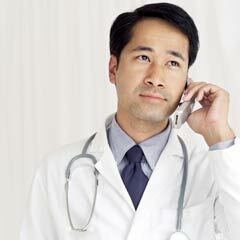 Also know which medical practices are not using any outside medical billing services. You'll have to negotiate more carefully if your provider is switching to you from another billing company. Unless their contract is not confidential, it's unlikely that you will know exactly what they charged to the same provider for the exact same services. It's no secret that medical billing and coding is complex and difficult. Do your research and crunch the numbers to determine exactly how much your provider's office can save by hiring you. Write down everything and present it to your potential customer in a nice, neat, understandable format. You also want to present your provider with a list of the benefits that you bring to their practice. You can decrease their frustration by taking care of the many administrative duties that coding and billing brings to an office. If your services replace any of their billing staff members, then that's one less salary that they have to pay out of their own pockets! No matter how you negotiate your medical billing contracts with potential providers, make sure you remain flexible and positive. Remember, you are performing a very important service. Without it, neither of you would get paid. Some providers will want different pay rates, and others will want only certain services. By remaining flexible, you are opening your availability to more providers, and a more lucrative business opportunity for yourself! For more on and contracts pricing, see the ebook Pricing Your Medical Billing Service.